The India program grew from our activities in Ladakh and through our partnership with the Mountain Institute. Working closely with Rinchen Wangchuk and NGO associates, we tested and refined innovative techniques for engaging local people in community based conservation of snow leopards and their prey. We initiated a corral predator-proofing program to prevent retributive killing of snow leopards by livestock owners. For every community’s winter corral predator-proofed, we believe that up to five or more snow leopards are effectively removed from risk of being trapped or poisoned by angry herders. 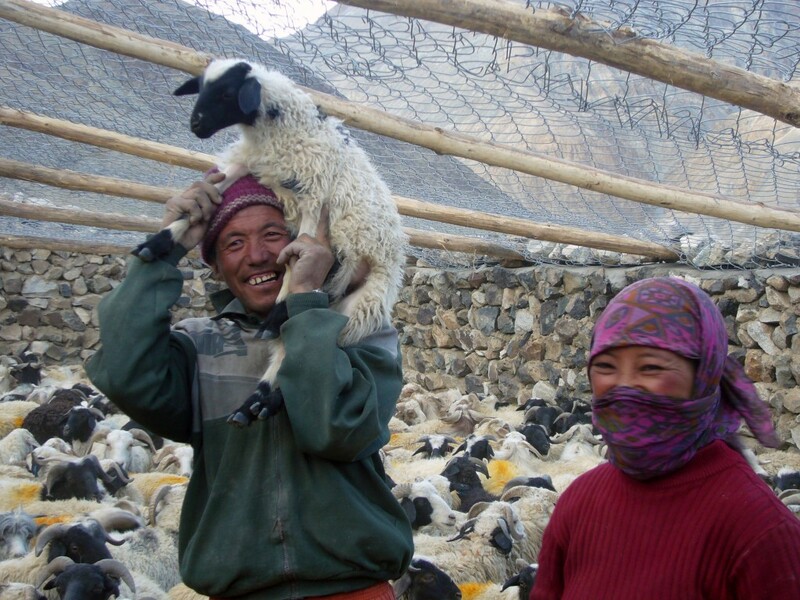 Working with the Mountain Institute and a grant from UNESCO we launched the award-winning Himalayan Homestays program. The J&K Wildlife Department assumed control of this program in 2010. In 2004 we were able to transfer many of these ideas to community-based tourism initiatives in Spiti under a partnership with MUSE (see the Muse report 2007-2009.pdf and Field Notes from Spiti.pdf ). Due to the incredible protection efforts of the local people, government, and SLC-India Trust, snow leopards are being seen regularly in Hemis National Park. Between 2002 and 2005, working in collaboration with the J&K Wildlife Department in Hemis National Park, we pioneered the use of noninvasive camera traps to assess snow leopard abundance and better estimate the population size of this shy, rarely seen cat. A detailed handbook on camera-trapping snow leopards can be downloaded here. The scientific paper describing this technique, which is being applied in other parts of the snow leopard’s vast range, can be downloaded here. 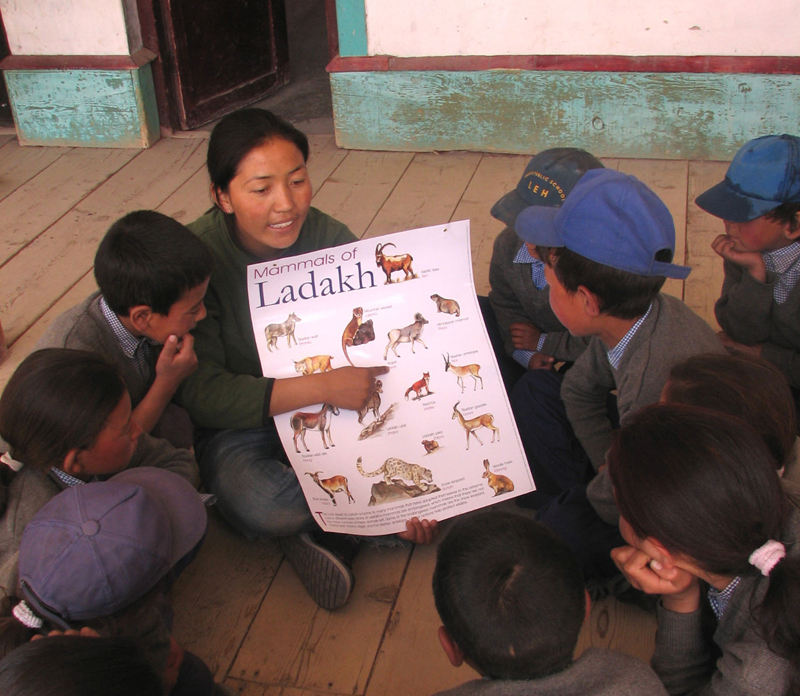 In 2005, the Snow Leopard Conservancy established a partnership with the Pune-based nonprofit, Kalpavriksh, to develop a community-based environmental education program for rural Ladakh, focused on conservation of snow leopards and other wildlife of the local trans-Himalayan region. Challenges in this remote region include bringing quality education to children who live in small, widely scattered and largely ignored settlements, exacerbated by teacher absenteeism and motivation. For this program, Kalpavriksh developed an educator’s handbook and locally relevant educational material (posters and games) for classes 4 to 8. In 2007, officials in the State of Jammu and Kashmir Education Department requested these teaching tools be made available to all government schools in the region. SLC India and Kalpavriksh are networking with other NGOs in the area to share the educational materials and program.